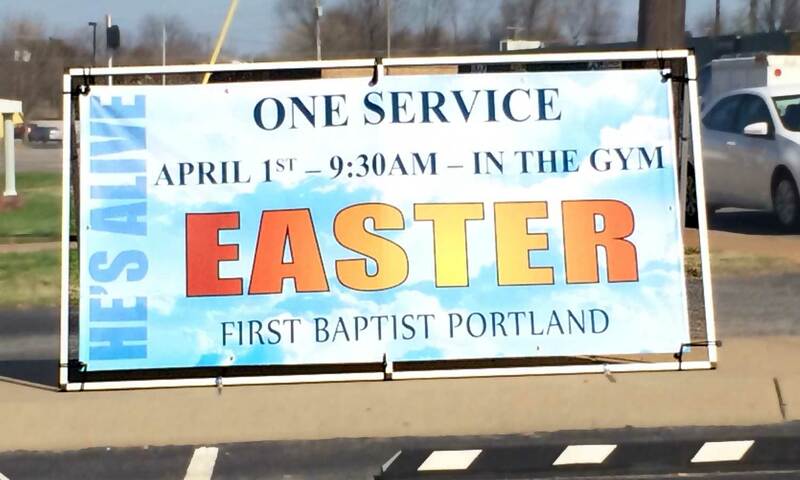 You will see their large 4’x8′ banner with custom artwork sitting outside their church on 109 in Portland, inviting everyone to their Easter Service. First Baptist Church, Portland creates a consistent message when inviting the community to special events. Working with their ideas we create artwork that can be used in a variety of sizes to fit their publishing needs. The artwork must be adjusted and scaled to fit on their website, bulletins, postcards and their 4’x8′ sidewalk banner frame. Members will share printed postcards or business cards and pass them out as invitations to their neighbors and surrounding community. 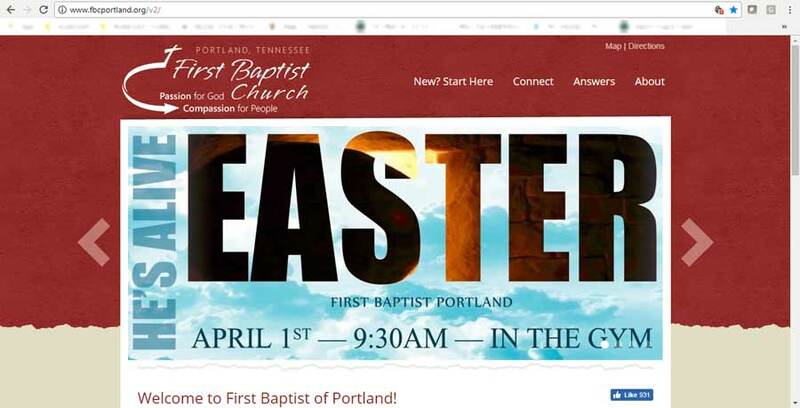 Easter artwork on First Baptist website, due to the size compared to the 4×8 foot banner the artwork may be slightly different but still consistent in its overall look. Although the artwork may need to be slightly adjusted for each final output the message is still consistent and clear. This makes the information easily recognized whether it’s seen on the street or arrives in a mailbox. 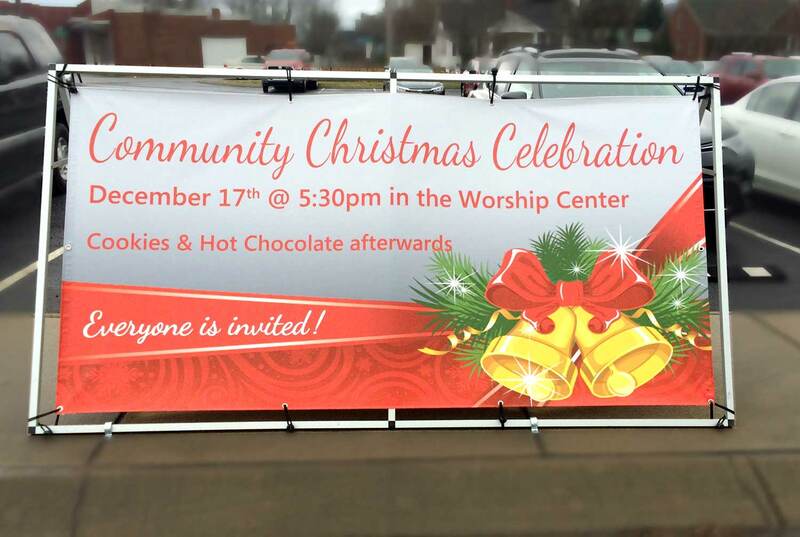 Artwork created for the Christmas Celebration (sidewalk banner). Do you need help creating artwork to promote your upcoming event? Call Silver Cricket Designs, we’d love to create memorable graphics to fit your needs.